Sign up and receive Property Email Alerts of Houses for sale in Val De Vie Estate, Paarl. This enviable house offers luxurious living in an exclusive setting, designed by noted architect Louis Phillips. Beyond the spacious living area with its appealing fireplace and adjoint wrap-around stacking glass door sunroom with build-in braai is a gourmet kitchen with central island, and a dining area with a beautifull Hungary imported chandelier that opens to the garden and refreshing pool. With a blend of form and function, the high-end materials, like the Oggie flooring throughout, are balanced by practical considerations such as a walk-in wine cellar; walk-in pantry; a laundry / scullary room and ample cupboard space in all areas of the house. Soaring ceilings and exquisite detailing are displayed throughout the expansive interiors, introduced by a memorable hall with a impressive wooden staircase rising to the top floor and yet again a masterpiece chandelier imported from Hungary. A highlight to this home is the amazing spacious bedrooms, the master suite has ample wall-to-wall closet space, creating an ilse to the bedroom area, with spectacular views of the impeccable manicured and maintained Polo B-field. This immaculate offering caters for every aspect of the Val de Vie lifestyle, and meets the very highest of expectations. 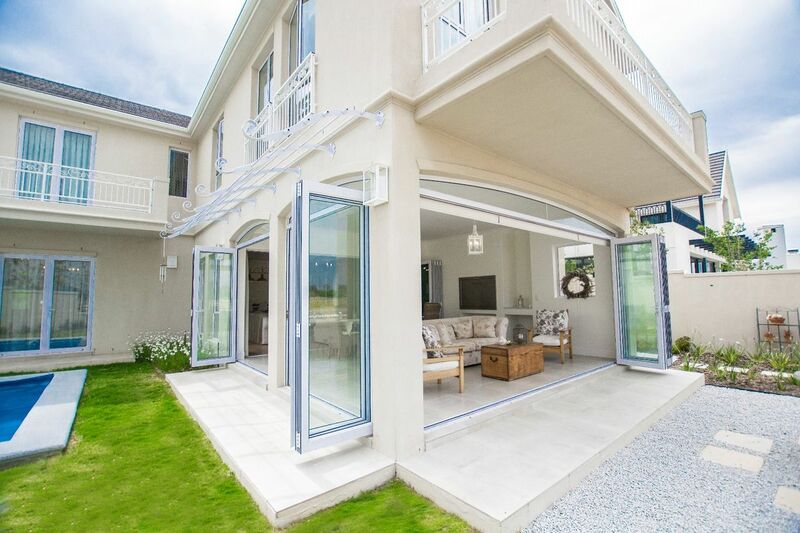 Sign-up and receive Property Email Alerts of Houses for sale in Val De Vie Estate, Paarl.